Why are South Africans underreporting on crime? As South Africa’s political environment deteriorates, so too does public safety. For the sixth consecutive year, the country is seeing increases in robbery and a continuation in the high numbers of murders: the two most reliable indicators of public safety. These categories represent the types of crime that cause the most public fear. 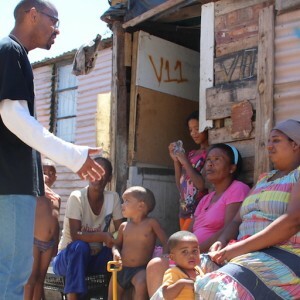 The rising rates show that the government’s goal of ensuring that all South Africans should be and feel safe is a long way from being achieved. On Friday, 3 March 2017, the National Minister of Police, Nathi Nhleko, reported to the Parliamentary Portfolio Committee on Police that in the nine months from 1 April to 31 December 2016, murder had decreased by only 0.07% (10 incidents). Meanwhile aggravated robbery had increased by another 6.1% (an additional 6 193 cases) compared to the same time period the previous year. This is on top of the 20% increase in murder and the 32% increase in robbery over the five-year period from 2011/12 to 2015/16. This cannot be pinned on a lack of adequate resources available to the South African Police Services (SAPS). Last week, the finance minister announced a projected budget for the SAPS of R93 billion for 2017/18 – up from R87 billion in the current 2016/2017 finance period – marking an increase of 6.6%. The courts and prisons were allocated R44 billion for 2017/18. In the first 18 years of democracy, the murder rate dropped by 55% from 67 murders per 100 000 population to 30 per 100 000. This was encouraging, although incidents of murder make up only 1% of what is considered to be serious crime. Well over 2.1 million crimes are recorded by the SAPS each year. The SAPS consider more than 80% of these recorded crimes as serious, ranging from shoplifting to murder. Overall, these serious crimes have decreased by 1% in five years from 1 842 853 incidents in 2011/2012 to 1 825 746 in 2015/2016: a difference of 17 107 fewer recorded cases across 28 crime categories. Unfortunately, these decreases may be the result of growing levels of underreporting and under-recording of crime – rather than reflect a real decrease. Twelve of the 28 categories of serious crime recorded by the police have shown substantial decreases over the last five years. These included three violent crime categories – namely total sexual offences (14% decrease), common assault (8% decrease) and serious assault (5% decrease). Decreases in property crimes were seen in the categories of commercial crime (18%), stock theft (10%), theft of motor vehicles (8%), and shoplifting (4%). Sadly, the majority (16) of the 28 categories have increased. A notable problem is that increasingly, victims of crimes are not reporting their incidents to the police. For instance, the latest National Victims of Crime Survey (NVoCS) findings for 2015/16 noted that while nine in 10 motor vehicle thefts are reported to the police, the same can only be said for half of all assaults, and around a third of stock theft and consumer fraud incidents. The NVoCS shows that the crimes most feared by South Africans are the ones that increased substantially over the past five years. These are often also regarded as the most prevalent. The crime most feared by half of South African households, and regarded as the most prevalent, is that classified by Stats SA as ‘housebreaking/ burglary’. In 2016, the SAPS recorded 253 716 home burglaries – representing a 2% increase over the past five years. According to the NVoCS, the police statistics represent only about half of all break-ins taking place nationally, because only 47% of cases were reported to the police. In addition to burglaries, the police recorded 20 820 armed invasions of homes while the victims were present. This extremely traumatic crime is categorised as residential robbery, and increased by 24% since 2011/12. The actual number of these crimes is estimated to be a third higher than the police statistics – due to underreporting. Almost half of households (46%) fear street robbery. The number of reported street robberies increased by a substantial 32% from 57 636 incidents to 76 080 in four years. This means that there are 50 more armed attacks on the streets of South Africa every day on average than there were in 2011/12. The real number may be almost double this, as the NVoCS shows that only 55% of street robberies are reported to the SAPS. When the NVoCS asked why victims did not report crimes such as house breaking or house and street robbery, two-thirds believed that the police would or could not do anything about their case. The reason why aggravated robberies cause so much public fear and anxiety is because there is direct confrontation between armed perpetrators and the victim. In 37% of street robberies and 51% of home robberies, guns were used. Knives were used in 61% of street robberies and 47% of home robberies. It is little wonder that among the households surveyed, only three in 10 reported feeling safe walking alone in their areas of residence after dark; representing a 6% decrease in perceptions of safety in five years. The fear of crime is having a notable social impact, with a third of South Africans saying it’s a reason to avoid using open spaces or parks; and one in four households not allowing their children to play outside in their neighbourhoods. Two key changes need to take place to start improving public safety. Firstly, effective, evidence-based violence prevention programmes aimed at improving the lives of infants and young children must be rolled out to scale. This will ensure substantial improvements public safety in 10 years, as these children become teenagers and young adults who are less prone to violent behaviour. Secondly, the functioning of the criminal justice system must urgently be improved. Recommendations in the National Development Plan and other initiatives are currently underway, which may contribute to this objective. However, the most important and urgent priority is to ensure that only the most experienced men and women – whose integrity is beyond reproach – are appointed to head intelligence, police and prosecution agencies. The ongoing crises of leadership in the criminal justice system is a direct result of poor, politically inspired appointments that have little to do with the interests of the public at heart. When this changes, the state will better be able to tackle violent organised crime and the high levels of corruption that continue to undermine the wellbeing and growth potential of South Africa. For more on the functioning of the Criminal Justice System and recent crime statistics view the https://issafrica.org/crimehub.